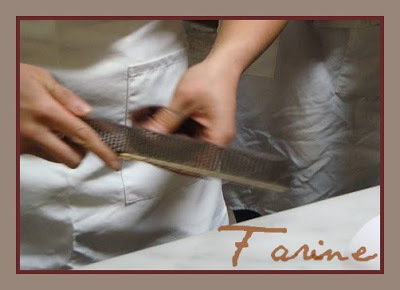 I attended the Focus on Tarts workshop this weekend at the San Francisco Baking Institute and I loved it. 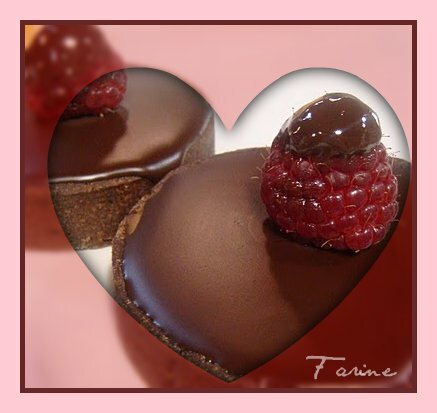 I don’t normally eat or even like sweets, so the tastings didn’t transport me into taste-bud heaven as they occasionally do when the subject is bread, but we made some fantastic looking tarts and I am eager to try my hand at them again for family and friends, maybe starting with this lovely dessert for Valentine’s Day. 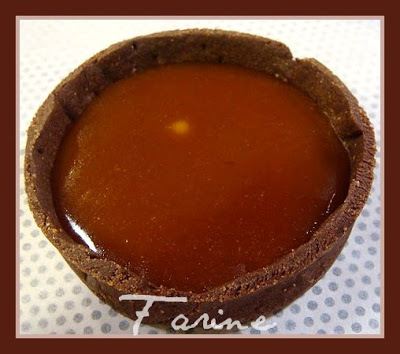 The tart is made with a “pâte sucrée” (sweet dough) shell in which 20% of the flour has been replaced by cocoa powder (according to Juliette Lelchuk, our most knowledgeable instructor, it is best to use Dutch-processed). 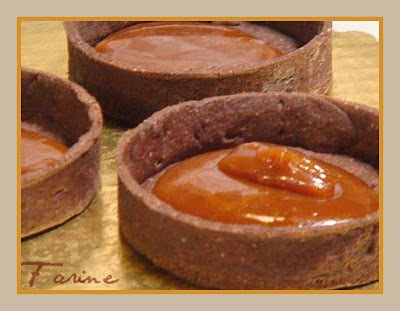 Once baked, the shell is filled first with salted caramel, then with chocolate cream (“crémeux”) and finally with a glaze. 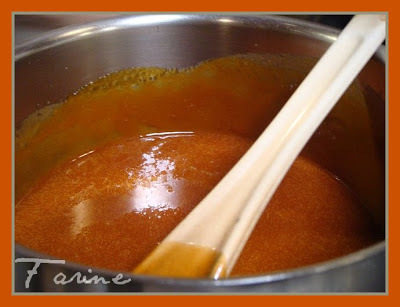 Juliette demonstrated the dry method of making caramel, which is faster than the wet one and somewhat less involved as you don’t have to paint the side of the pan with water to keep the sugar from crystallizing. 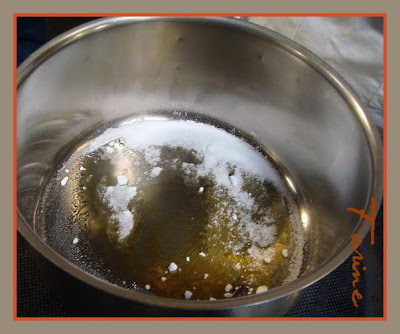 You do however have to be on standby and swirl the pot vigorously to help the melted and unmelted sugars combine more readily. The pot is pretty sticky when you get done but it cleans easily if you put it back on the stove and boil some water in it. The proportions are for 8 to 10 individual tarts and I leave it up to you to adjust them up or down for the number of tarts you actually want to make. Since many of the components will keep for a while refrigerated or frozen, my instinct would be to go for broke and plan for all 10 of them! Once the shells are baked and cooled down, put them in the fridge or freezer till you are ready to use them. 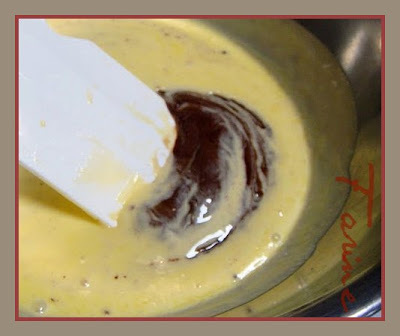 Once the cream comes to a boil, pour 1/3 of it into the yolk mixture, whisking constantly. 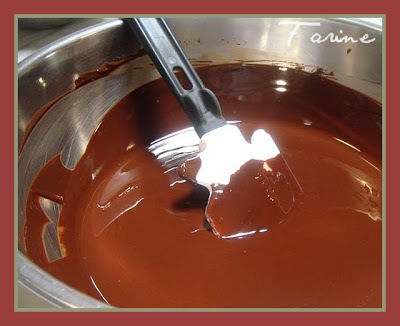 Whisk this mixture back into the pot. 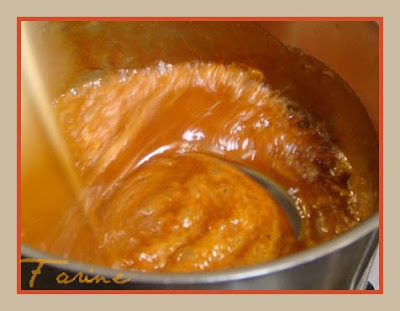 When the caramel is a dark reddish brown and starts to smoke (be careful because it will quickly become bitter if you wait longer), add a very small amount of the cream mixture (about 20%), stirring pretty vigorously and taking care to avoid steam burn. Let cool on a trivet. It is going to thicken up a bit (it keeps a few weeks at room temperature. To avoid its becoming a bit grainy, you can add some corn syrup). 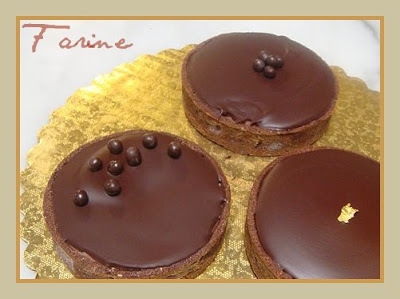 Garnish the tart(s) as desired: edible gold leaf, fleur de sel, chocolate shavings, puffed rice covered with chocolate or other garnishes. 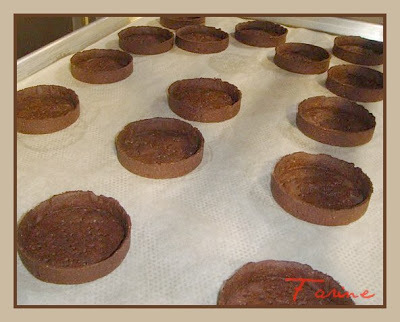 The tarts can be stored in the refrigerator for up to 3 days, well wrapped. « Levain: Where do the aromas come from? What are the health benefits? Mmm, I would'nt bake those tarts (much too complicated and long for me) but they look fantastic and delicious, and I would love eating one! Bravo!! 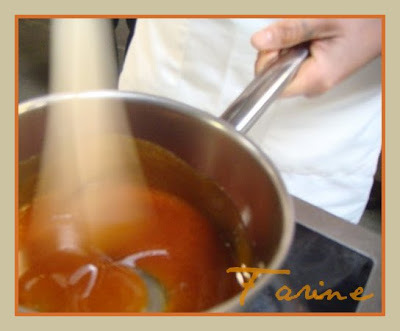 "transport me into taste-bud heaven" what else can one say…wish I could have a taste…. 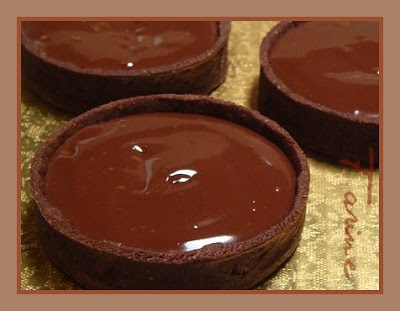 @Flo, yes, these tarts do require a certain level of commitment but most of the ingredients can be made ahead of time and either refrigerated or frozen, which makes it less unrealistic to fit them in one's schedule. @Judd, the minute virtual-tasting technology becomes available, I'll put a tasting-booth on Farine! This is food of Heaven! I would be glad if you give me one right now . @Mamatkamal, I wish I could! 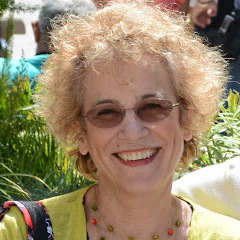 How do you convert grams into cups, tsp etc?? Sorry, Anonymous, but I don't have a clue. Maybe you can find an online converter that will help you. Alternatively you may want to invest in a little kitchen scales that does both grams and ounces. Mine cost $25 but it has paid me back its weight in gold many times over.